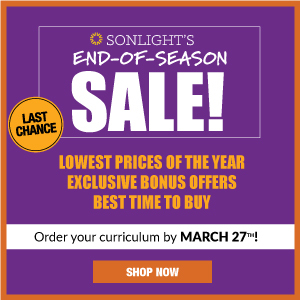 I read this article and wanted to share it with you: New in 2018: Teaching Language Arts is Easier Than Ever https://blog.sonlight.com/2018-language-arts.html. Teaching Language Arts can be overwhelming. It includes so many elements that you may wonder if you are missing something. 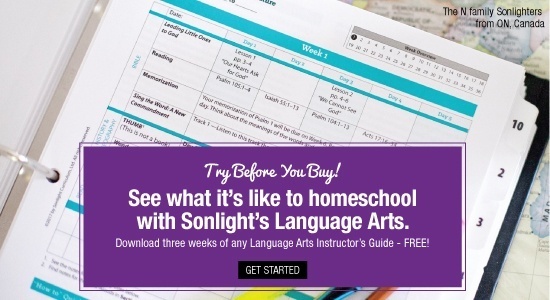 Sonlight’s new and improved Language Arts programs take out all of the guesswork. 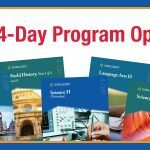 With teaching assistance and step-by-step directions, you’ll teach Language Arts with confidence. 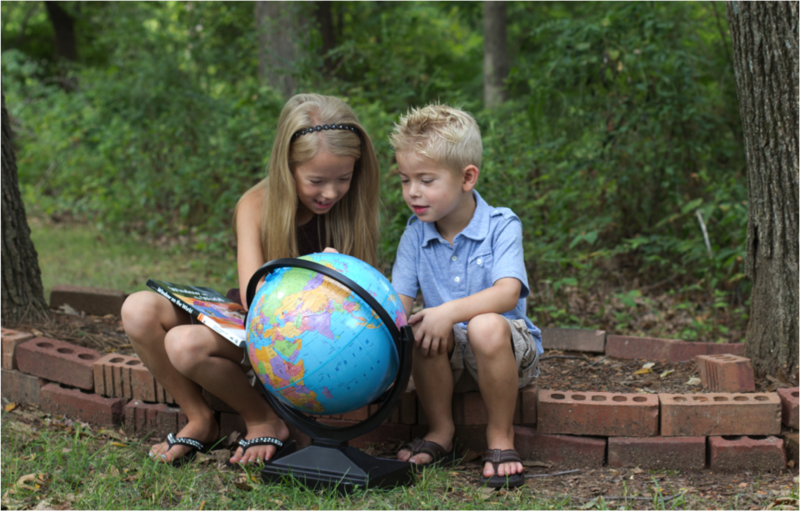 Forget complicated instruction, overwhelming workloads, or boring worksheets. 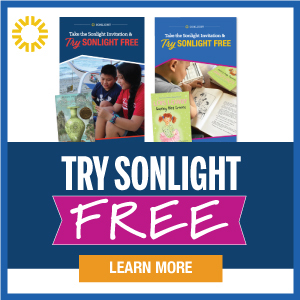 Sonlight Language Arts makes learning to read and write a natural and engaging process. Overview Summaries—See your goals for the week at a glance. This will help clarify and focus accomplishments for each week. In the back of the Language Arts IG, you’ll also get the entire scope and sequence for the year so you can see the range of what your student will accomplish. See a Sample. 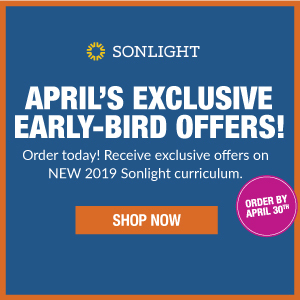 Teaching Scripts (early elementary levels)—Sonlight Language Arts guides are designed to take you through each lesson from start to finish with zero prep. Know exactly what to say as you introduce new ideas, concepts, and assignments. 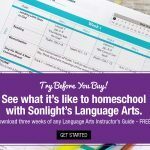 If you’re just starting to homeschool or have never taught basic reading skills, this is an immense help. See a Sample. Evaluative rubrics—Rubrics are included at the end of each lesson (when applicable) to help you evaluate how your children are performing. Rubrics will give clarity to both you and your student so you can get the most out of a writing assignment. See a sample. 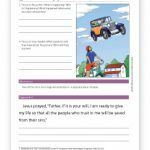 Revised activity sheets—Activity Sheets have been revised to give detailed instruction that speak directly to your student (especially in Language Arts D-W). Your students will be guided each step of the way as they follow along. 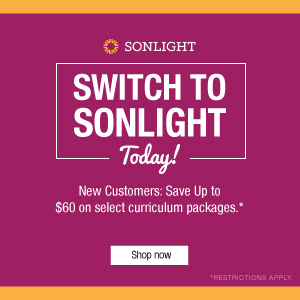 No need to know what a conjunctive adverb is—your Sonlight Activity sheet will break down the meaning and guide your student as they learn and practice the new concept. You, too, may be surprised by how many things that seemed so difficult at first become so easy to understand. See a sample. And this year, for the first time ever: full-color story starter images. 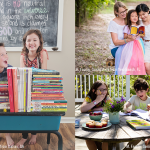 Let your children’s imaginations run wild with these beautiful creative writing prompts. Copywork characters who demonstrate the simple sentences they are learning to write. 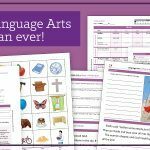 Full-color images on special Vowel Activity Sheets that are helpful as your children learn and practice letter sounds. Full-color cut-out picture sheets and sound cards. These interactive elements make learning fun. 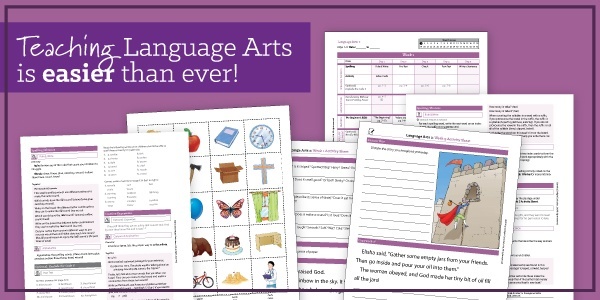 Download three weeks of any Language Arts Instructor's Guide—FREE. Click here. So excited about the lab books! !